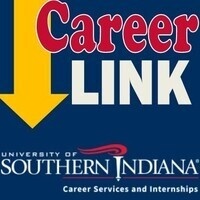 CareerLINK is the career fair for all majors at USI. Over 80 employers will be on campus to recruit students for full-time and part-time jobs and internships. Plan to attend and dress in professional clothing. Take time to visit the fair to explore career options and network with employers, and bring several copies of your resume to share with potential employers. Schedule an appointment with Career Services in advance to update your resume. Visit our website and watch your email for more details on which employers will be at the fair, how to prepare for CareerLINK and learn why YOU should attend!